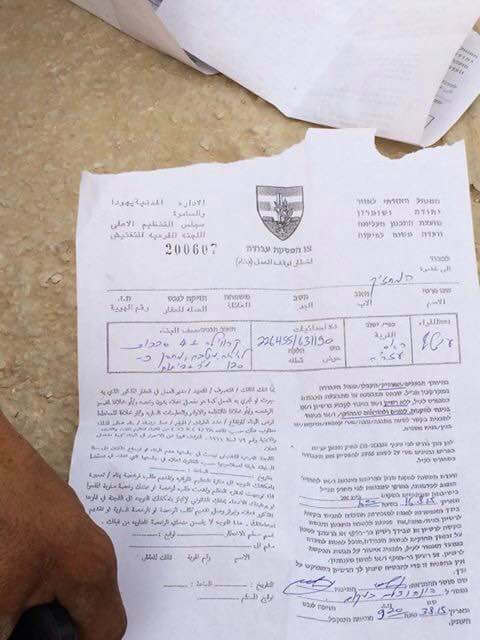 On August 3, 2015, a group of Israeli army vehicles and several Israeli Civil Administration representatives distributed seven demolition orders to the Bedouin community of Jabal al-Baba, north of al-Ezariya (Bethany) in the Eastern Jerusalem governorate of the West Bank. Jabal al-Baba’s position between East Jerusalem and the expansive Ma’ale Adumim settlement puts it at the heart of Israeli authorities’ E1 settlement plan. The plan aims to link settlements around Jerusalem, at once consolidating Israel’s illegal annexation of East Jerusalem and separating the north of the West Bank from the south. 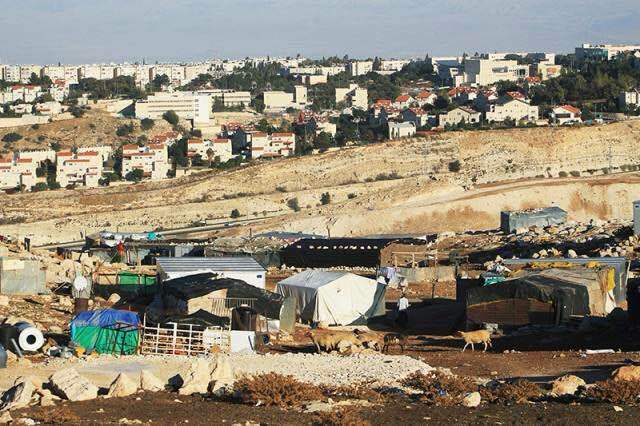 Home demolitions and forced displacement of Bedouins in the area are the plan’s expected next steps. Homes and other structures in Israeli-controlled Area C of the West Bank are often demolished under the pretense of being built without permits. However, permits are almost never issued to Palestinians, leaving them no choice but to build with the risk of imminent demolition. In contrast, illegal Israeli settlements in the area are constructed and expanded with impunity. Many residents of this community are already refugees—expelled from the Negev during the Nakba of 1948. Now approximately 40 families with over 300 people face yet another displacement, along with the destruction of their traditional lifestyle. The Israeli authorities began at approximately 8:15 a.m. with the home of Ahmed Tarabeen, ordering his family to demolish their home by Thursday, August 6th, or else the army would come to complete the task. They delivered the same message to the house of Hani Uweidat before making their way to another household of 14 residents now under the threat of losing their home. A total of seven demolition orders were distributed. Three of the housing shelters that received demolition orders were originally donated by the European Union, and have already been demolished and then rebuilt with international support. Members of the Jabal al-Baba community predict that the three EU-funded housing shelters will be demolished soon, based on witnessing Israeli forces’ thorough photography of the structures—usually a sign that the demolition orders are more than simply a threat. Atallah Masara, Jabal al-Baba’s community representative, expressed his grave concern over the matter. The demolition orders came as a surprise, he said, after nearly a year without any issued. “Now the future is dark,” he stated. He emphasized the dire need for international support and solidarity during this time, requesting careful documentation of upcoming events.